There will be course markings at all track junction and road intersections. 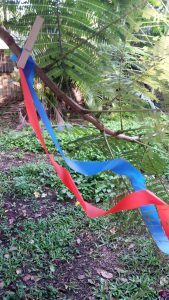 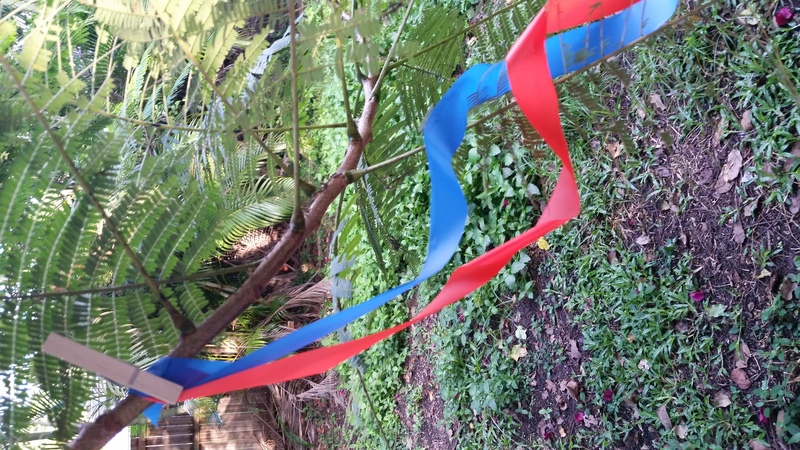 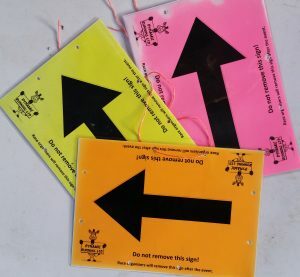 The course is marked with bright pink directional arrows ‘ →’, crosses ‘X’ and blue & orange flagging tape. 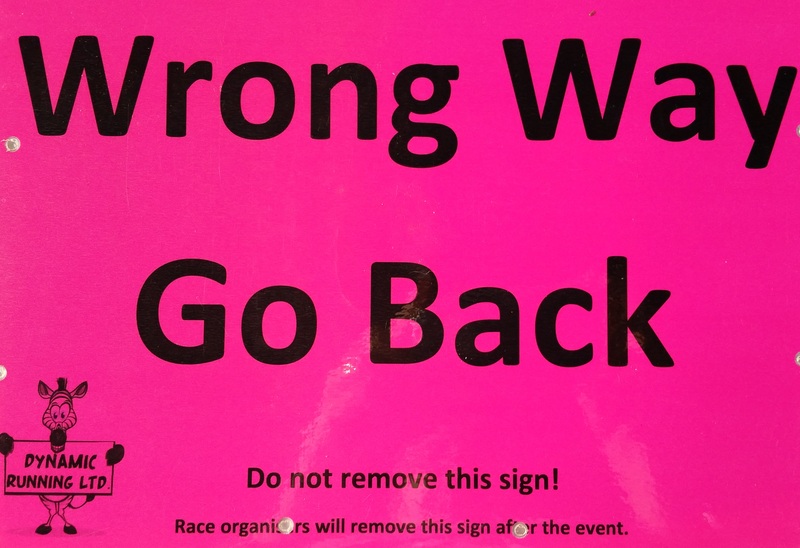 You do not need to navigate your way along the course, but for safety reasons you are required to carry the maps provided and be familiar with the terrain and directions as signs are occasionally removed off the course, despite our best efforts.